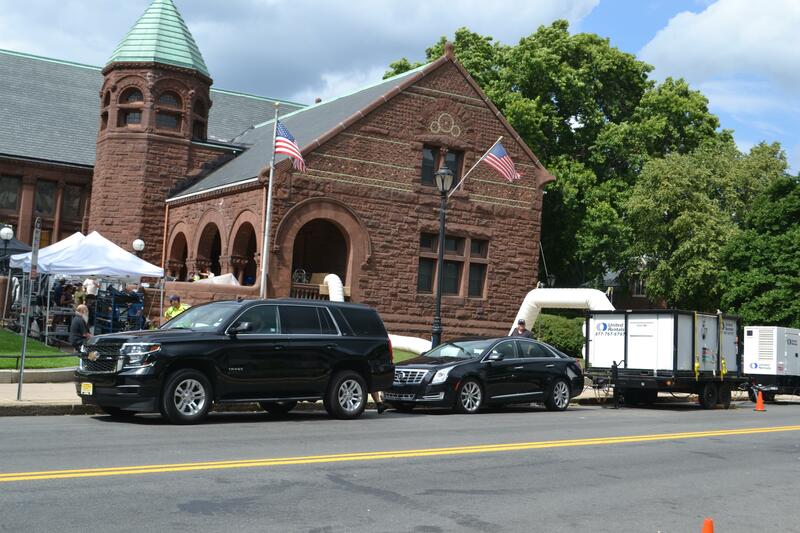 “Ted 2,” the sequel to the widely successful Seth MacFarlane comedy about a talking teddy bear, filmed last week at the Malden Public Library. While details of the movie are kept secret, there was plenty of excitement on the street as crowds gathered, mostly trying to get a look at Mark Wahlberg or Amanda Seyfried. Ralph Balon, 21, commented on how “it’s crazy how Malden is becoming part of Hollywood now.” Nicole Blount, 22, “just hopes the movie is funny,” and she wants to see it. They both agree the first movie was funny. Nicole Oliver described the first film as “wicked funny” while Noelle Lafausi wishes Mila Kunis was in this one too because “she was really funny. I liked her.” However both Oliver and Lafusi agree that Mark is funny enough to hold his own. 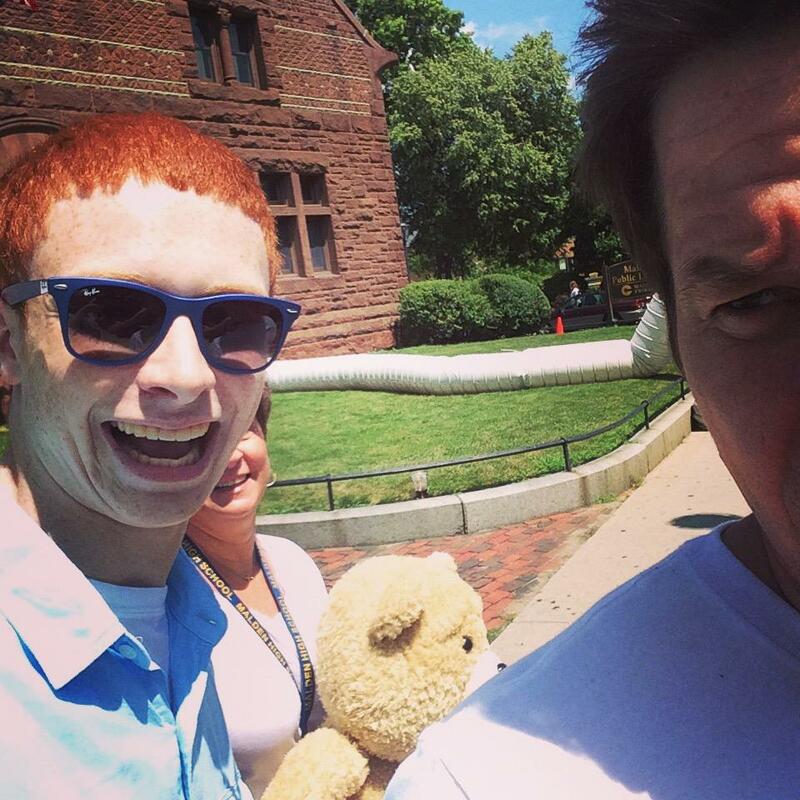 WAHLBERG MANIA: MATV youth member Josh Cronin (left) caught star Mark Wahlberg (cropped on right) exiting the library during last week’s shoot.